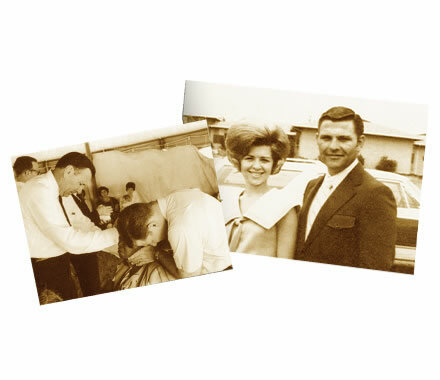 Kenneth and Gloria’s journey into ministry began in 1966 when God instructed Kenneth, at nearly 30 years old, to attend classes at Oral Roberts University in Tulsa, Oklahoma. After years of running from the will of God, Kenneth and Gloria packed what they had and their two children and headed to Tulsa by faith. Kenneth had no money to pay for tuition nor did he have a job. 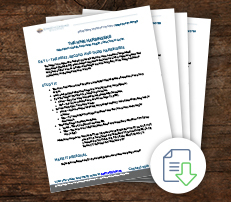 Kenneth was a licensed pilot and was unsure as to how he would be able to manage holding down a job to provide for his family and going to school. 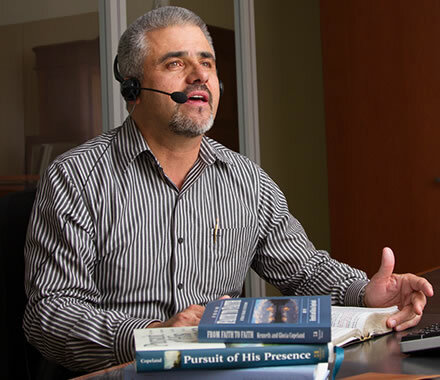 On the very first day Kenneth showed up to register for classes, God miraculously provided the money for tuition and books, and he landed a job flying an airplane for Oral Roberts. Kenneth was learning so much about faith and God’s Word at ORU. He was traveling with Brother Roberts, attending classes during the day and listening to tapes from Kenneth Hagin at night. Although Gloria was not in school, she was growing just as much. She was committed to studying the Word for hours every day while also taking care of the children and the house. For the first time in their lives, Kenneth and Gloria found themselves smack dab in the will of God, and they couldn’t be happier! They began to experience His peace, provision and direction as they were obedient to obey His will. One day in March 1967, Kenneth knew the Lord was trying to tell him something, but he didn’t know what. He came home from school that afternoon, and decided to go down to the Arkansas River bed, just about a mile from his house, to pray and listen. It was there, standing in the dried-up Arkansas River bed, where Kenneth received God’s call to ministry. Kenneth meditated on what God told him in that riverbed for months. When summer came, all the fear he felt was replaced with faith, and Kenneth was ready to accept the calling. 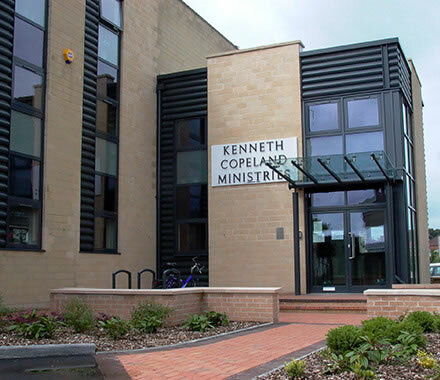 Not long after that, the calls for Kenneth to minister started coming. And they have been coming ever since. 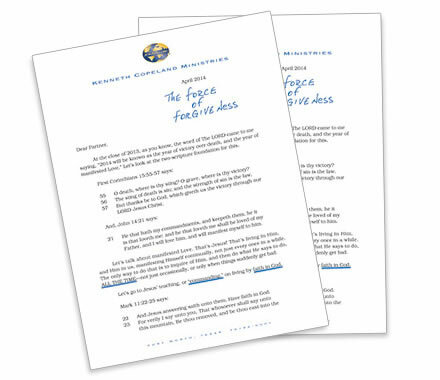 Everywhere they go—from the top of the world to the bottom and all the way around—Kenneth and Gloria continue to preach the uncompromised Word to the nations—bringing people from the milk to the meat of God’s Word—and shaping the course of an entire generation of believers. 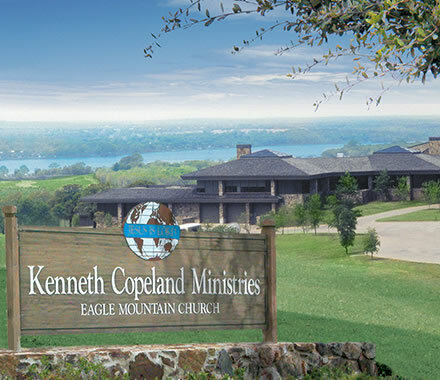 Kenneth Copeland Evangelistic Association, later to become Kenneth Copeland Ministries, was established in 1967. The 1970s were tremendous years of growth the ministry. 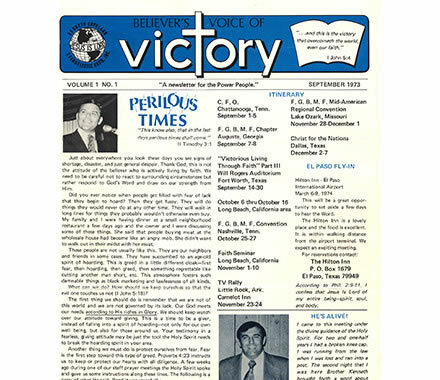 The first issue of Believer’s Voice of Victory magazine was published in 1973 as a four-page newsletter and distributed to about 3,000 people. Today, the publication has evolved into a 32-page, full-color magazine that is distributed free each month to more than 362,000 subscribers worldwide. 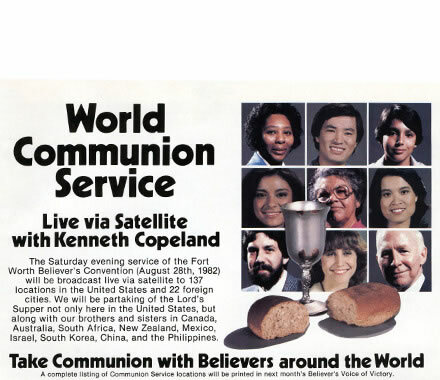 KCM launched its radio ministry in May 1975 when it began broadcasting on 10 stations. A short time later, the Lord told Kenneth to put forth the Word “on every available voice.” Within a year, the broadcast was being heard on more than 500 stations in the U.S. and Canada, resulting in an increase in the production and distribution of ministry cassette tapes—the only form of audio recording for sale at the time—from 27,000 to 171,000. 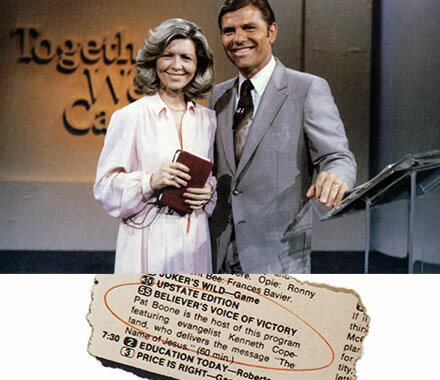 Television became another “available voice” for KCM in 1979, as the ministry aired its first one-hour weekly TV broadcast. 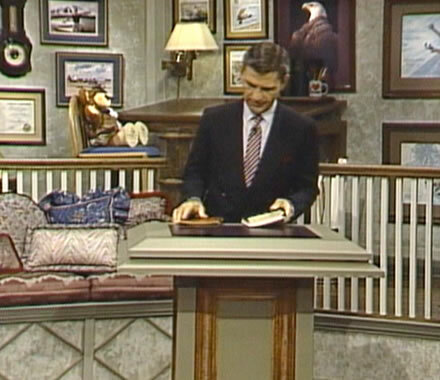 Ten years later, in 1989, the Copelands took their boldest, most daring step of faith ever when they launched the daily Believer’s Voice of Victory broadcast. 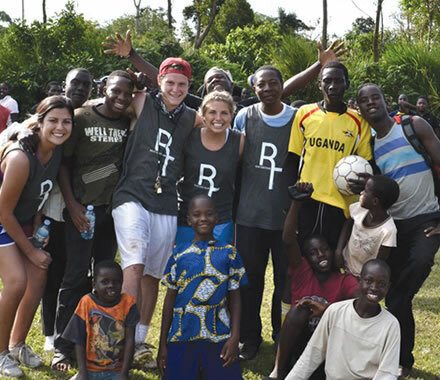 The BVOV program is still going strong today and currently reaches 2.3 billion potential viewers. 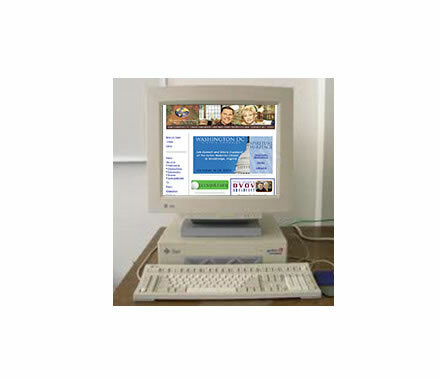 In 1996, KCM established a website on the Internet (kcm.org), providing global access to features and articles from its BVOVmagazine, as well as live audio and video feeds from Believers’ Conventions and Victory Campaigns, and access to its TV broadcasts. 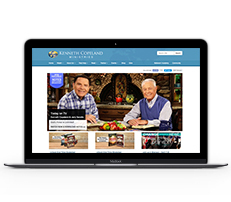 Today, the website gets over 234,000 visitors per month, and features the weekly broadcast, events on demand, a Real Help section, Believer’s Academy, an online Partner Community and more. 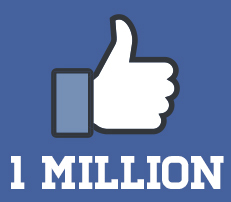 Through its social media outlets, KCM has logged 1.4 million plus fans on Facebook, registered more than 260,000 followers on Twitter, and has more than 5.3 million views on YouTube. 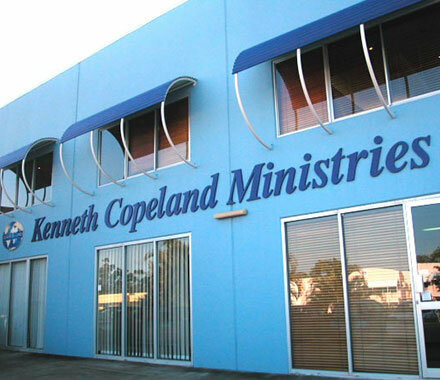 The ministry averages about 41,000 views per month on its official blog at kennethcopelandministries.org, and the podcast has nearly 3.8 million downloads since its inception in 2015. 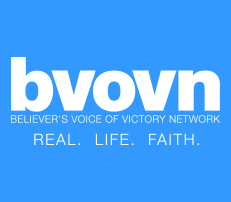 Most recently, in 2015, the ministry again took its boldest step of faith yet and launched the Believer’s Voice of Victory Network (BVOVN), with 24/7 programming focused on faith, healing, finances, relationships, finding peace and more. 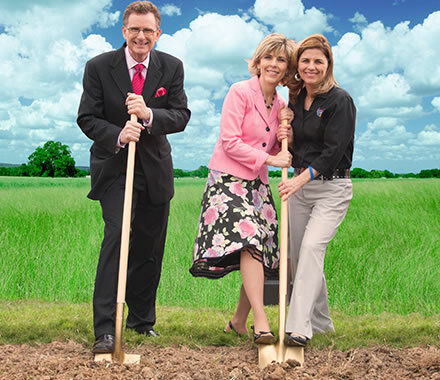 BVOVN features a hand-selected group of today’s most-trusted Bible ministers teaching the uncompromised Word of God. 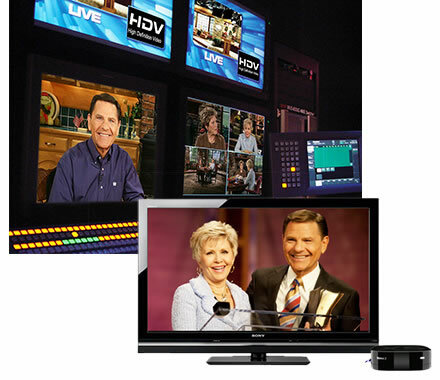 The TV network can be viewed on Dish Channel 265, Roku, 4th Generation Apple TV, Amazon Fire TV, bvovn.com, kcm.org and Facebook. 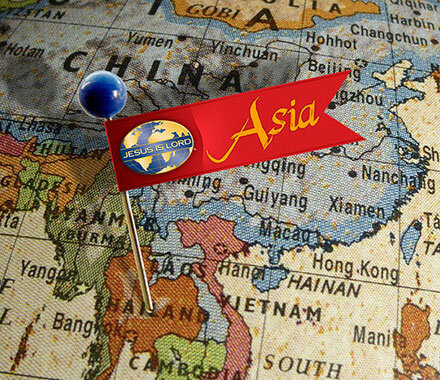 Meetings have played a major part in KCM’s call to evangelize the world. 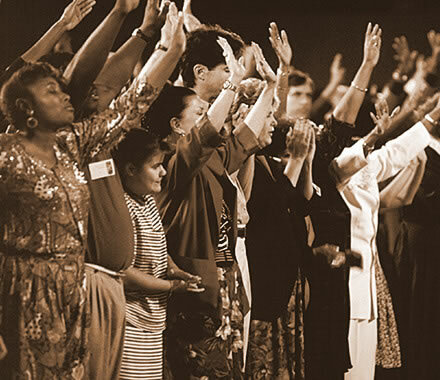 The ministry held its first weeklong Believers’ Convention in 1979 in Anaheim, Calif., and continued to hold meetings there annually until 2007. 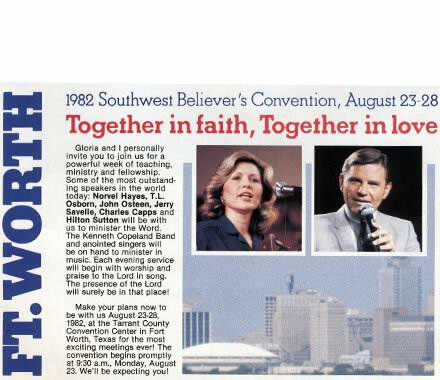 Additionally, KCM launched its annual Southwest Believers’ Convention in Fort Worth, Texas, in 1981, and that meeting remains the most anticipated and highly attended event of the year. The ministry also holds several three-day Victory Campaigns and Living Victory meetings, as well as a number of personal meetings. 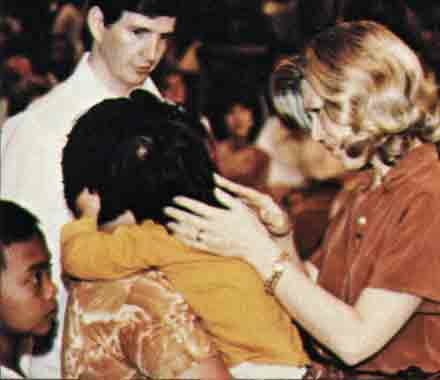 In 1979, the Lord instructed Gloria to “start teaching on healing in every meeting.” She heard the Lord say: I want you to share what you know about being healed because I want My people well. The ministry began adding “Healing School” to their conventions and victory campaigns, and it continues to be a staple in these meetings. God always shows up to Healing School, and people are always healed. 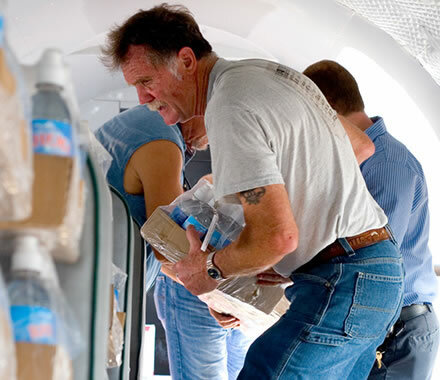 Kenneth and Gloria continue to travel thousands of miles and spend hundreds of hours in the air each year going around the world to preach the gospel to places like Australia, Canada, China, Italy, Nigeria, Switzerland, Ukraine, United Kingdom and Venezuela. 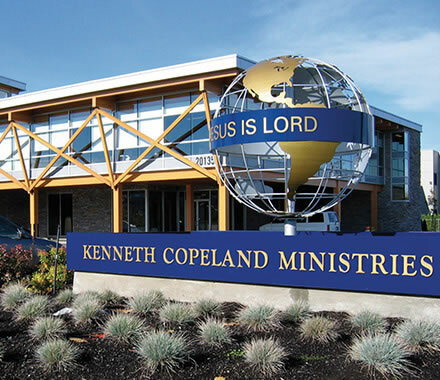 From its headquarters in Fort Worth, Texas, where nearly 400 people serve, KCM oversees its six international offices in Canada, Africa, Asia, Australia, Europe and Ukraine. 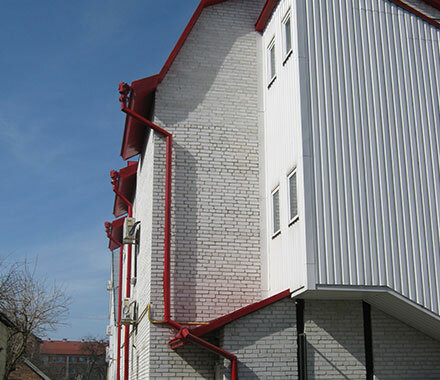 It is through these offices that KCM is able to further extend its outreach with the Word of God. 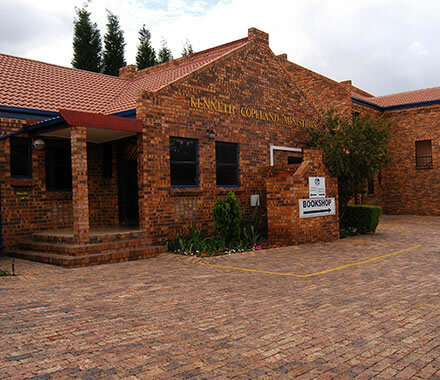 Kenneth and Gloria’s books, magazines, CDs and DVDs are translated into at least 22 languages to reach the world with the message of victory. The ministry continues to grow, going wherever the Lord directs to deliver the message of hope, promise and faith, and letting the world know that…Jesus Is Lord!